Viewing will be held on Monday the 15th at 5:00 pm at Woodlawn Funeral Home and Cemetery, and then the rosary will be at 7:00 pm. The service will be held the following day Tuesday the 16th at 11:00 am, also at Woodlawn Funeral Home and Cemetery. 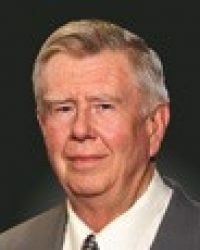 Lacey resident Tim G. Burgman, 78, died April 9, 2019, at his home. He was born April 3, 1941, in Seattle Washington to George F. Burgman and Madge E. Wyse. His father was a Colonel in the Army and his mother was a Registered Nurse. Tim grew up in both Seattle and the Bald Hills in Thurston County. He loved the outdoors and worked the family farm, planted and cut timber as well as working in the family funeral business (John Kalin Funeral Home est. 1935.). He attended O’Dea Catholic Boy’s School and Seattle University where he met his beautiful wife, Ann. They married June 13, 1964. In 1965 they moved to Lacey, WA where they started Woodlawn Funeral Home and Cemetery. In 1985 they purchased Forest Funeral Home in Olympia and in 1997 they opened the Forest Funeral Home branch in Shelton. Tim and Ann were very active members of the community from the beginning. He even ran for mayor in their early years. Many years later, Ann was elected to the Lacey City Council. Tim was also a Capitalarian for several years, a charter member of the Lacey Chamber of Commerce, a long-time member of Sacred Heart Catholic Church and friend to St. Martin’s Abbey. He was a man of action and enjoyed wood, trees, timber, reading and anything mechanical. Tim also had the Irish gift of storytelling. Mr. Burgman is survived by his five children, T. George Burgman, Jr., Kathleen Blanchette, Teresa Goen-Burgman, Joe Burgman and Jennie Burgman, 12 grandchildren and 5 great-grandchildren. He is preceded in death by his loving wife, Ann Burgman and his son, Michael Burgman. A viewing will be held in the Woodlawn Chapel on Monday April, 15 at 5 pm with a Rosary starting at 7 pm. The Funeral Service will be held Tuesday April, 16 at 11 am with a graveside service immediately following. Reception to follow graveside. Brother Edmond will be conducting the Rosary. Abbot Neal will be officiating the Funeral Service.